Kirloskar Institute of Advanced Management Studies began the celebrations of its diamond jubilee year, by announcing a fully funded Fellowship for 2 meritorious students. The Kirloskar Bright Scholarship - alternately known as K’Bright Scholarship - has been named after the inspiration and founder father of KIAMS, and a doyen of the Indian Industry, Shri S.L.Kirloskar. The selected students can be excellent either in academics or extra-curricular. The K’Bright Fellowship includes a 100% tuition fee waiver for the PGDM programme at KIAMS, a one-on-one CXO level mentorship and Internship interview at one of the Kirloskar Group Companies. The K’Bright Fellowship is being introduced with the KIAMS batck of 2015-17, and applications can be filled out on the KIAMS official website. Shortlisted candidates will be called for an interview round. The K’Bright Fellowship will be declared by a panel of eminent academics and corporate leaders. The foundation stone of Kirloskar Institute of Advanced Management Studies was laid by Mr. S.L. Kirloskar on the 25th of November 1990. KIAMS is the only institution in the country that started out as a captive Centre of Excellence for managers of the 5 companies of a corporate i.e. 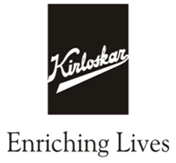 Kirloskar Group, and transcended into a much-aspired B-school for the budding managers of the future. Even as a B-school KIAMS continues it’s policy of Industry-immersed management education. In these 25 years, alumni of KIAMS worldover have made a name for themselves and their alma mater for being ‘industry-ready’. KIAMS has only 2 wings – Harihar and Pune – since the focus on an industry-relevant management education has to essentially be on quality rather than quantity. Having been originally conceived for managers and executives of the Kirloskar Group, the campus at Harihar, by the River Tungabhadra, ranks amongst the best in the country in terms of infrastructure, ambience and natural surroundings.